Who says skinny leather pants are hard to wear? You can easily incorporate them with your work attire with a soft blouse, blazer, kitten heels and a fabulous tote, but I prefer to show you how to have fun with them, so here are two looks for day or night. Comfortable and stylish, this look is a sure passage way through the velvet rope of any night life venue. SUEDE-TRIMMED COTTON/LINEN VEST: The intricate details on this piece is truly irresistible, everything from the zippers to the mod shape, the flaps and buttons, lace-up back and the suede trim on the collar and torso, all tell a love story about a passionate designer. The versatility of this vest is incredible, anything from denim skirts, cropped or skinny jeans, cargo skirts & pants and other skirt types. 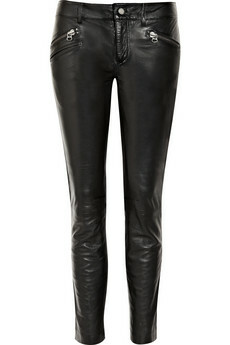 SKINNY LEATHER PANTS: An upgrade from basic black denim to be utilized like a pair of jeans. Try them with button-downs of all types, most sweaters, tanks, draped jersey-tops and other loose blouses. LEATHER/CANVAS PEEP-TOE ANKLE BOOTS: Timberland created the perfect construction boots and Victoria’s Secret feminized them. These shoes are definitely swanky but casual by nature, easy going with various tops, pants and skirts in fabrics like denim, cargo and linen. 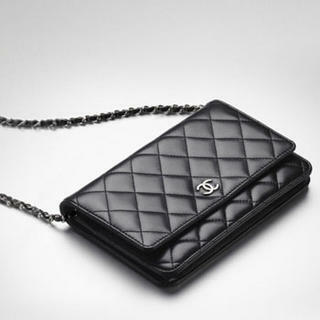 CLASSIC WALLET ON CHAIN: A diamond is forever and so is a quilted bag, no matter how big or small. Trust me when I say, you will never run out of things to wear it with. 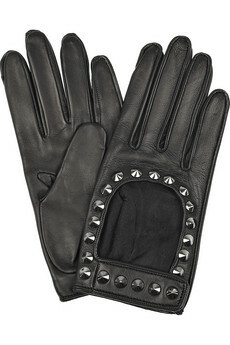 DRIVING GLOVES: Karl Lagerfeld created enough buzz to make driving gloves an iconic accessory. No longer limited to the wheel, but instead showcasing a fashion-forward appeal. Wearing all-black or all-white or black-n-white are exceptional outfit choices for the black glove, but if you decide to use bright hued gloves, be prepared to match them up with a complementary color that’s not in the same family. Dinner and a movie, Girls Night Out or insert activity here: _________. Either way, you will turn heads. 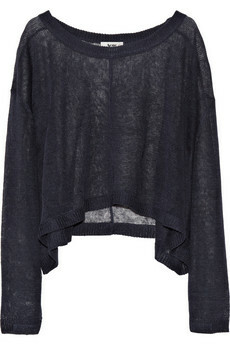 CROPPED LINEN SWEATER: What’s wonderful about this sweater is it’s ability to evoke sensuality with transparency. Pair it with a bra-top or a tank. Match with anything from skirts to dresses to pants. LEATHER/MESH SANDALS: Mesh is making a full comeback. 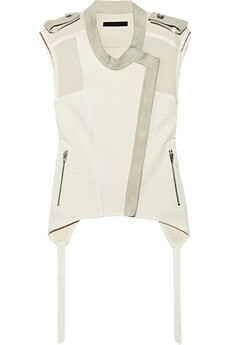 Unlike the 80’s fluorescent loose-fitted tops, the newer models are muted and body-conscious. Ingeniously crafted with detailed zippers, carefully exposed corners, an amazing cream finish and breathable mesh, these sandals are this season’s must-have! STERLING SILVER DIAMOND LOCKET: True classics live on and are constantly modified to retain a closer image to vintage. 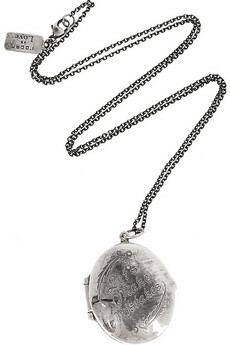 Lockets feminize any look, so use them to downplay rocker-chic and menswear or play-up floral and lace. 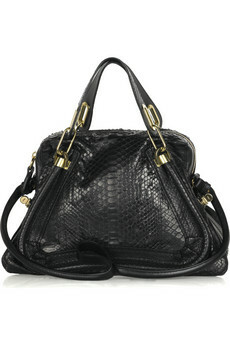 PYTHON LEATHER BAG: For the woman who needs a bag with a lot of punch, this one’s for you. With a quick wardrobe change, it can go from work to play and compliments most assembles. You can literally lug this bag for days without itching for a change of bag. 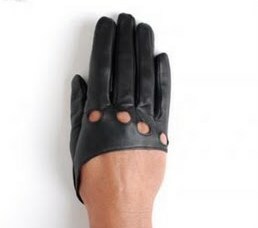 STUDDED LEATHER GLOVES: These fashion gloves are sophisticated with just enough punk to make them super functional, so don’t be shy to wear them.